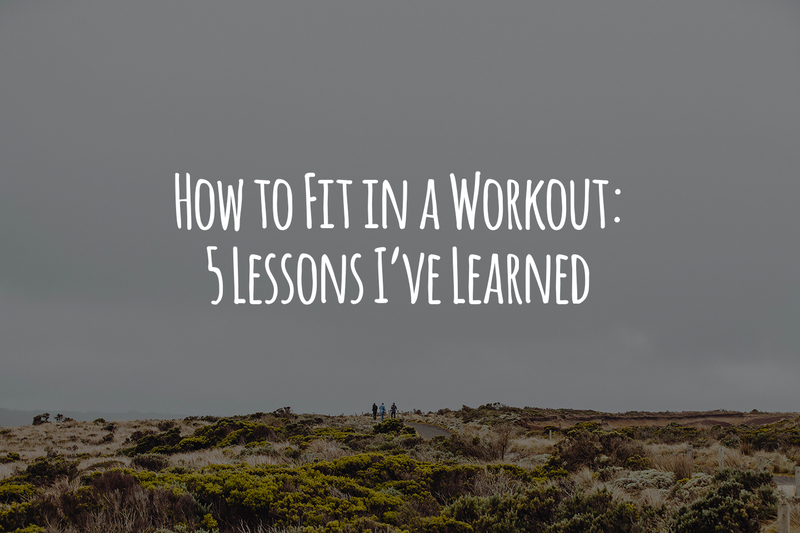 Fitting in a workout is hard. Before I go any further though, let me clarify what I mean by “workout”. So often we see that word, “Workout”, and then completely disregard anything mentioned after that word. Please don’t do that here! I have a specific type of workout in mind. This post isn’t for those already into Crossfit, or those who have been working out everyday for the past 20 years of their life. These are some tips I discovered when I first went Primal – They are great tips for fitting in a workout with a busy work and family schedule. When I first went Primal it was in the context of doing Mark Sisson’s Primal Blueprint “21 Day Challenge”, where Mark laid out various types of exercise. These are the three main forms of exercise: move frequently at a slow pace, lift heavy things and sprint every once in awhile. During the 21 days these exercises were spread out, and I was dedicated to finishing them so I could complete “the 21 days”. However, I needed to work this into my normal routine after those 21 days were over. This is where I feel that most people fall off the Primal (or any exercise regime) bandwagon. The goal of fitting in a regular workout is consistency, and the only way I figured I could fit in a workout was if I matched the exercises up with things I already do consistently. Move everyday: walk (not run) as much as possible everyday. Lift 2 times a week: 1 or 2 sets of 50 pushups, 50 squats, 12 pull-ups & 2 minutes plank. Sprint every 7–10 days: All out sprints for no more than 10 min. Now that list may seem daunting to you, but don’t let it. I work 40 hours a week, spend time with my family and have busy weekends – and I have found a way to consistently do these exercises for the past 4 years. Like I said, the goal is to match up these exercises with things you already do everyday or every week, and then making them a habit. The way to do it is by analyzing the things you do throughout the day, everyday, and try to fit in these exercises at the same time as those things. It’s worked for me and hopefully it will work for you! While I enjoy a good Chemex, I use the Bonavita every morning for my wife and I. Mainly because I’m too lazy for the Chemex. This normally takes about 10 minutes to brew the whole pot. Just enough time for you to do the lifting exercises right there in your kitchen, living room or backyard at the early hours of the morning before you go to work. This means you can fit it in before you take care of the kids and even before you take a shower. The only piece of “gym” equipment required is a pull up bar. If you don’t have one, I suggest you get this one and put in in your door frame somewhere in your house and leave it there. Or if you have a good tree limb in your backyard, you can do your pull-ups there. Otherwise these exercises are only using your bodyweight so no other equipment is required. Don’t lie. We all watch too much TV. Too much Netflix. Too much stuff. But because we do this everyday, it makes a great consistent thing to pair with our exercise. While you’re watching TV – one day out of the week just get up and do one set of the lifting exercises listed above. On another day throughout the week while you’re watching TV try to do 2 sets of the lifting exercises above. This is something couples can do once the kids are asleep, or even if they’re awake. They’ll probably just look at you and laugh – or they’ll try to join you. Though it may sound weird at first, it only takes 2 days to do it and you’ll feel better after you start doing it consistently. That way you can look back and not feel so guilty for binge watching the newest Netflix series. First, if you don’t have a dog, you need to get one. Second, this only takes 10 minutes, every 7–10 days! C’mon, that’s something you can do! Third, dogs have to be let outside every once in awhile. So this is definitely something you have to do at some point throughout the day/week. Now this has to be an all out sprint, rest, sprint, rest, etc… Sprint as hard as you can for 15-20 seconds, and rest for the remainder of that minute, then at the top of the next minute go again and rest and repeat until you have completed 10 minutes. This is easily accomplished for me with my Boston Terrier, Rigamarole. See, all I have to do is chase him like I’m chasing a pig to hogtie for dinner, and man it wears me out. (Don’t worry, I’d never eat my dog.) If you don’t have a big enough backyard, just try to find a park close to your home and run around there. Fitting in 10,000 steps a day is pretty tough when you drive to work and sit at a desk all day. To reach 10,000 steps a day you’ll need to probably walk for about 100 minutes. The best way to tackle that is piece by piece. You can start by parking your car far away from your office/work/school/stores and take the “long way” to get to where you are going. That way you get in a good amount of steps at the start of your day, at the end of your day and in even in between. Do it, and you’ll be surprised at how many steps are added to your day when you park far away. Most smart phones can track steps, or you can pickup an activity tracker: Jawbone, Fitbit, Basis, Misfit. Not everyone takes breaks throughout the day, but just because they don’t, it doesn’t mean that’s a good thing to skip breaks. You should be taking walking breaks throughout your work/school day. If you take 2 moving breaks throughout the day for 15 minutes each, you should easily be able to hit 3,000 steps. Couple this with your walk to and from the car and you’re chiseling away nicely at that 10,000 steps a day. Now these are just some tips I’ve picked up along the way, but they’re effective because I coupled them with things I already do everyday, like making coffee and walking to and from my car. Going Primal will take a little more thought and intention throughout your day, but in the end you’ll be pleased that you were able to fit in moving frequently at a slow pace, lifting heavy things and sprinting every once in awhile. This entry was posted in Lifestyle and tagged lessons, lift, move, sprint, workout. Bookmark the permalink.